Our Ginger Thins (Pepparkaka in Swedish) are baked using a traditional Swedish recipe. The cookies have a unique taste and are flavored with cinnamon, ginger and cloves. Ginger Thins started to appear in Swedish cook books in the 18th century. 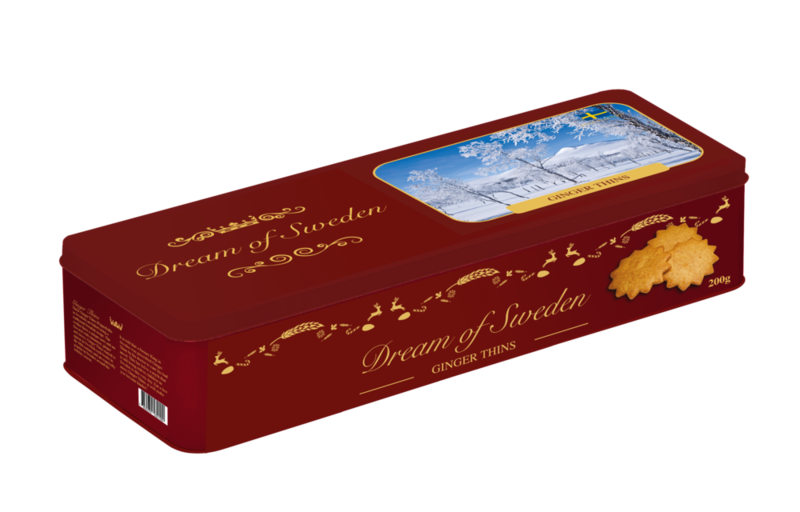 Ginger Thins can be enjoyed during all seasons but are especially popular in Sweden around the holiday season. It is told that a former King in Sweden was prescribed Ginger Thins by his doctor to cure his bad mood. This has led to a myth that is still being told to children in Sweden to this very day. Eat a few more Ginger Thins, it will make you become kinder! 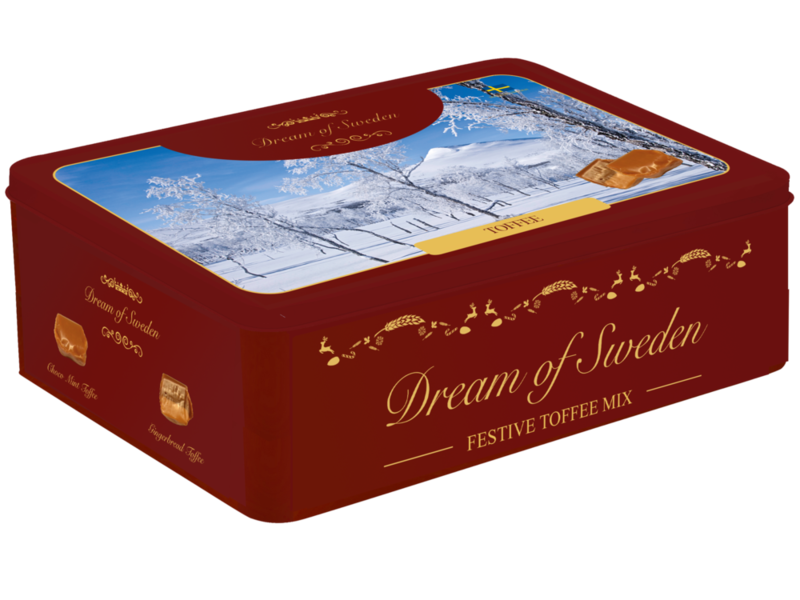 Packaged in an exclusive tin box of 600g or 200g. 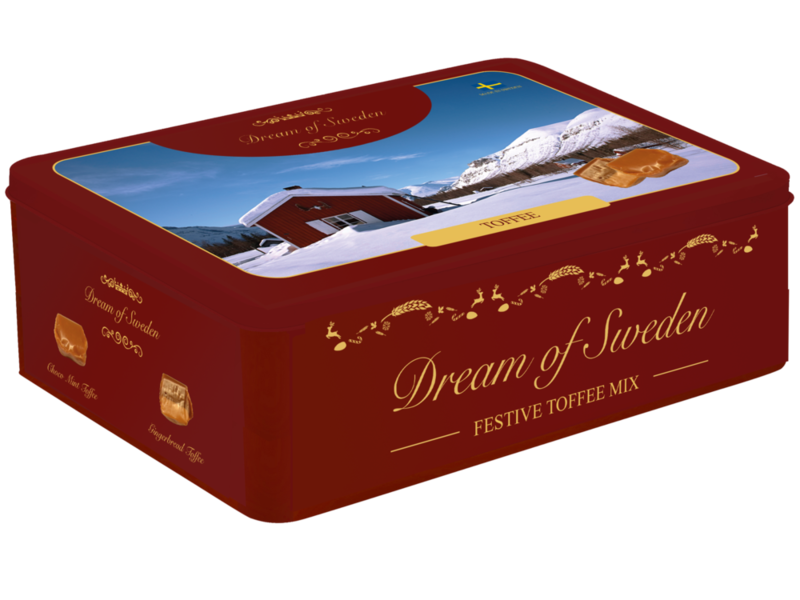 Premium Swedish Toffees made in Småland, Sweden by a traditional recipe. Inside of the box you will find two kinds of toffees. Our Gingerbread Toffee offers a unique taste from the traditional gingerbread spices: ginger, cinnamon, cardamom and cloves. 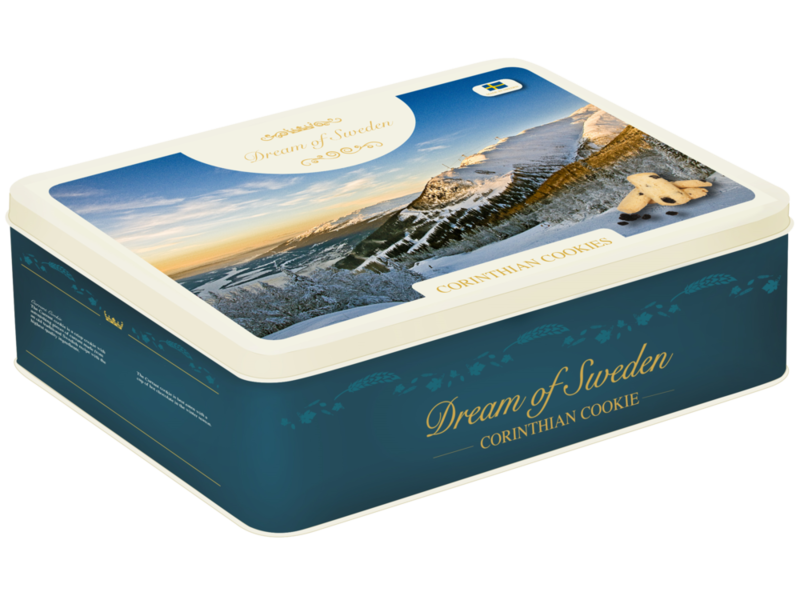 The Corinthian cookie is a crisp cookie with astonishing pieces of currant made from an old traditional Swedish recipe with the highest quality ingredients. The Corinthian cookie is best eaten with a cup of hot chocolate in the winter season. 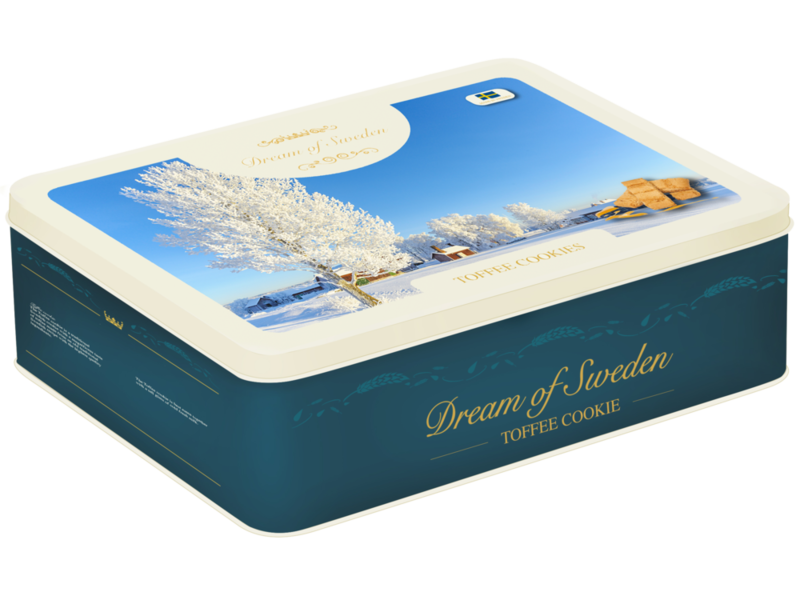 The Toffee cookie is a traditional Swedish cookie with a magnificent taste of toffee made from an old traditional Swedish recipe with the highest quality ingredients. The Toffee cookie is best eaten together with a tall glass of cold fresh milk.